July 13, 2017 / Preferred Roof Services Inc.
As the preferred flat roofing contractor in Lakewood, we were selected to repair a torch down roofing system on the Medley Building in Lakewood, WA. The existing torch down roof was worn and damaged in places so we accessed the extent of the damaged and recommended a torch down flat roofing repair for the owners. We are highly experienced commercial roofing contractors and for this reason we knew exactly what this specific roofing system needed in repairs. 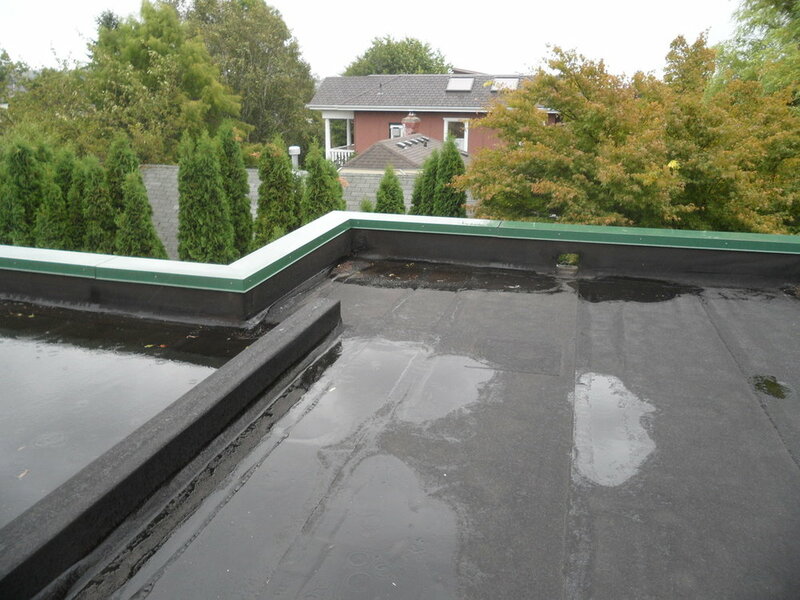 We repaired this system by first repairing the areas with one layer of smooth torch down roofing material followed by one layer of torch down roofing with a granular surface. This repair is a three layer asphalt Torch Down roofing system. A three layer torch down system consists of first, a base layer followed by a smooth torch down layer finished with a third layer of another torch down layer with a granular surface. A three layer system like this has the longest lifetime in torch down of 20 years or longer. Leak Resistant: Torch down roofing is made of rubberized asphalt material that is melted to the roof of a home using a torch. Any homeowner who is in need of strong yet flexible water resistant roofing material should go with this type of product. Heat Protectant : They can provide protection from heat. Adding extra coats of torch down applies a fire-resistant layer to the roof of a home. Torch down roofs also reflect UV rays, which helps to keep indoor temperatures down during the summer. The average lifespan for a three-layer torch down roof is two decades. Two-layer roofs tend to last around 15 years, and they rarely need to be repaired. They are free of harmful fumes. Unlike tar, torch down roofing systems do not give off any type of harmful, noxious fumes. Cheaper than metal roofing but with a comparable long lifetime of protection: These roofing materials provide a strong, leak-proof seal that will last for many years with very little maintenance or upkeep needed. The materials do not cost as much as aluminum or metal roofing supplies, and torch down roofing provides an extra layer of insulation to a home. Call us today at (253) 318-8918 to schedule an appointment or Click below for a free estimate today! October 19, 2015 / Preferred Roof Services Inc. Preferred Roof Services Inc was pleased to be chosen as the commercial roofing contractor for the Cancer Lifeline Center in Seattle, WA. We assessed the existing roofing system of the building and recommended a re-roof with a Versico 60mil single ply TPO membrane roofing system. We installed this new roofing system with the greatest attention to detail and exceeding all industry standards with our expert techniques. We installed a skirt metal underneath the metal fascia cap to offer the highest level of security from any water or elements getting into the interior of the building. By going above and beyond in our attention to detail, we guaranteed that the job was done right the first time saving time and money for the building owner. Interested in choosing Preferred Roof Services Inc. as your roofing contractor? August 27, 2015 / Preferred Roof Services Inc.
We installed a brand new single ply Versico TPO 60 mil roofing system for West Campus's flat roofed building in Federal Way, WA. See photos before of our expert technicians removing the old flat roofing system on the building. We prepped the roof to all industry standards in order to offer the best manufacture warranty of a 20 year NDL on this building. NDL stands for "no dollar limit" meaning we used all Versico products on this project and used only manufacture certified installers to give the building owner 20 years of protection on anything that may go wrong on the roofing system will be covered by Versico. Interested in choosing Preferred Roof Services as your valued commercial roofing contractor? July 14, 2015 / Preferred Roof Services Inc. When the property managers at Crystal Springs Apartments in Tacoma came to us, their multi-family flat roofing system was in serious need of replacing. As the preferred single ply roofing contractor for Tacoma, WA , our years of experience as a flat /low slope roofing contractor was very valuable. We accessed their existing roof and recommended a Carlisle Single-Ply TPO 60 mil roofing system as a replacement. Above are the photos of Crystal Springs Apartments after we installed their new single-ply system. The property managers were very happy with their new Carlisle flat roof. This roofing system has a great 20 year NDL warranty. A NDL or "no dollar limit" warranty is one of the best offered because it entails that the property manager is protected from any liability and the manufacture, Carlisle will be responsible for all workmanship, material, and labor on anything that may go wrong on their roofing system for 20 years. In need of a new multi-family roofing system? Call us today at (253) 318-8918 or click below for a free estimate! July 18, 2013 / Preferred Roof Services Inc. Preferred Roof Services just completed another great flat commercial roof in Tacoma, WA. This roof is literally right in our back yard! We want to say thank you to Stratton Industries for the opportunity to work as your flat roofing contractor in Tacoma, WA. After accepting bids from many different local roofing contractors Stratton Industries found us to provide the best value and felt we were the safest choice for their project. The structure we roofed will be utilized as a small strip mall that will host small local businesses. It started out with a wood deck which we covered with R-Tech fan fold insulation. R-Tech fan fold provides a smooth surface that helps the membrane lie flat and also provides a small amount of R insulation value. We utilized a Carlisle TPO roofing membrane to waterproof this structure. Carlisle is the leading manufacturer of single ply roofing membranes in the Nation. They have a very exclusive group of top level commercial roofing contractors are certified to install their material on some of the largest roof in the Nation. Preferred Roof Services, Inc. is proud to be one those few certified contractors to represent flat Tacoma roofers in the Puget sound. With our special certification we are not only trained to install the product to the manufacturers specification we are also able to offer exclusive "no dollar limit warranties," which provide a 100% guarantee on both material and workmanship. 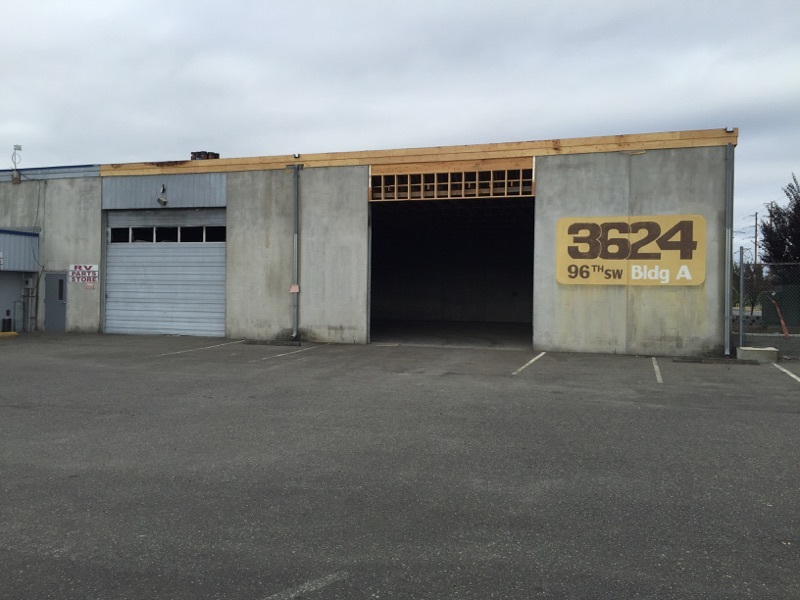 New Flat Commercial Roof Installed In Tacoma, WA By Preferred Roof Services, Inc.
TPO is short for Thermoplastic Polyolefin, which is a modified plastic compound that is used to make many of our plastic products such as vehicle bumpers and dashboards. TPO can be applied by either fully adhering the product with special adhesives or mechanically attaching the membrane with screws and plates. The seams of the membrane are heat welded together which forms a monolithic bond which is stronger than the membrane itself. Carlisle TPO comes in many colors including white which has a high solar reflective rate which helps to keep your buildings cooler and your energy bills down. Installing a TPO system is a great investment for your business or investment properties. Preferred Roof Services, Inc. has well over 50 years of experience in the roofing industry. We are a true family owned business with a vision to provide the very best services to our customers at an affordable and competitive price. From flat roofing to steep slope roofing we can do it all including roof repairs. If you are in need of a Tacoma roofing contractor give us a call and we will take care of you! Call us today at 253-318-8918 or click below to receive a complementary roof valuation today!